If you want to report a bug on a certain website or just share some information about the site you’re currently browsing, you should take a screenshot of it. Most users think about the default “Print Screen” button on their keyboards when they need to take a screenshot, but it’s not the best idea when you need to capture a certain part of a page. 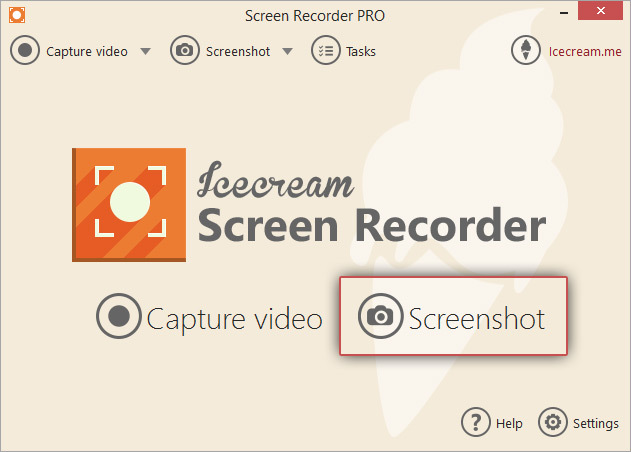 Icecream Screen Recorder helps users take screenshots right by offering several outstanding options. Read on to learn more about how to capture website screenshot. 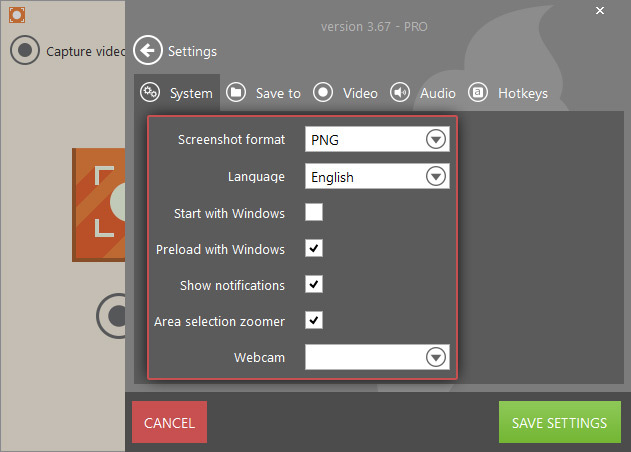 To install program on your computer, download Icecream Screen Recorder from this page. Just click on the “Download” button on this website and save an installation file on your hard drive. Once that’s done, open the file and install the tool as suggested by the Installation Wizard. After that, all you need to do is open the program and test it. Click the “Settings” button in the bottom right corner of the main window and configure some available options in the Settings panel. 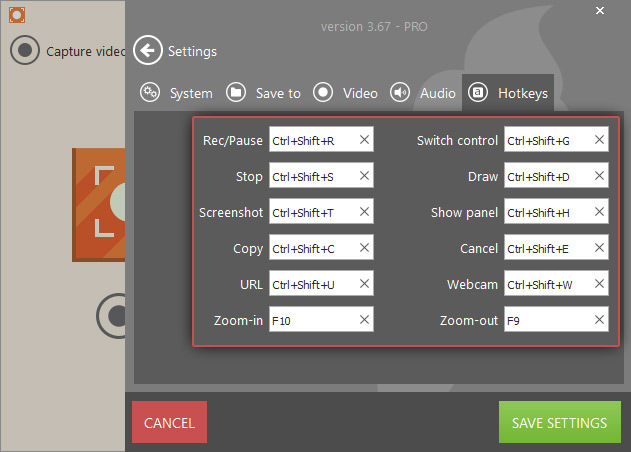 First open the System tab of the panel and select the screenshot format (PNG or JPG) in the “Screenshot format” option. Also, in this tab you can enable or disable the area selection zoomer and the notifications that are shown by the program. 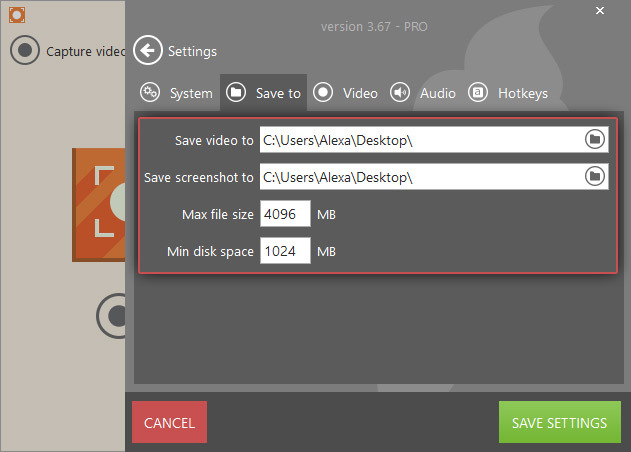 Then go to “Save to” tab and select the output folder for your screenshot (“Save screenshot to” option). Finally, go to the “Hotkeys” tab to view and change hotkeys. Such hotkeys as “Screenshot” (to save a screenshot as an image), “Copy” (to save a screenshot to the clipboard), “URL” (to upload a screenshot by URL to Icecream Apps server) and some others might be useful during the process of screenshots creation. 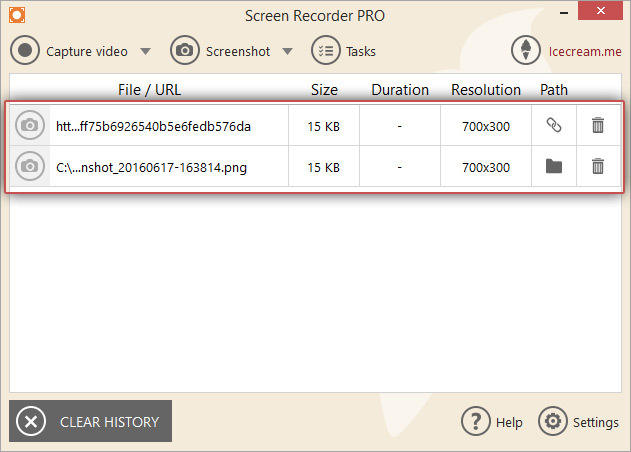 Unlike a standard method, Icecream Screen Recorder lets you capture any area of the screen depending on your needs. Click the “Screenshot” button in the middle of the main window. Frame a desired area with your cursor and release it. Also, you can frame a random area and choose one of the preset profiles (custom, full screen, 960p, 720p, 1024x768p, 640x480p, 320x240p, or 160x140p). Besides, you can stretch and move the frame manually. Make sure that the “Area” button is highlighted while you do that. You can utilize special options of the control panel not just to capture website screenshot as is but also to edit it prior to saving. Thus, you can use the tools of the drawing panel to mark out, underline, frame certain areas of the website you’ve just captured, comment on it, etc. Click the “Draw” button on the right side of the panel and select a drawing tool (brush, oval, rectangle, arrow or step tool). It’s possible to choose the contour thickness and the color as well. The “T” icon stands for “Text” and lets you type over the selected area of the screen. Use it to comment on certain areas of the website if that’s necessary. To cancel the changes you’ve made, click on the “Undo” icon at the right side of the control panel; to delete all the changes, press the “Clear all” button. Screenshot. Save the screenshot as a PNG or JPG image by clicking the “Screenshot” button in the upper left corner of the toolbar. Copy. Click this button to save your screenshot to the clipboard. After that, press CTRL+V to paste it wherever you want (e.g. image editor, Skype, email, etc.). URL. The “URL” button turns your screenshot into URL that is very convenient to share with people. The image is kept on Icecream Apps server so that you can access it by URL. All the created links and images are saved in the program’s history and you can get back to them from the main window whenever you want. To delete a link or a file from the history, click the recycle bin icon on the right of the URL or an image. The “CLEAR HISTORY” button at the bottom left deletes all the links and the images from the chart.